Sunday! Sunday! Sunday! Today is the last day of the weekend, so you all better make sure you do something fun! Do you all like to cook and think cooking is fun? Well if the answer is yes, then you are going to love today’s optical illusion! Pasta is one of the most popular dishes to make in the world, and take a look at this pot of cooking pasta. Do you all see someone looking back at you? Isn’t it amazing what cooking pasta and boiling water can turn into? 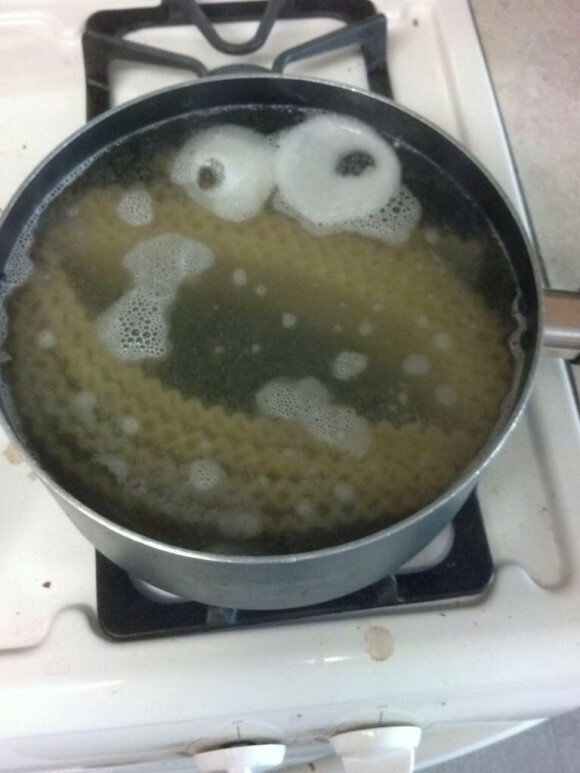 You should see the famous Sesame Street character cookie monster looking at you! Ready for another optical illusion? Take a look at this spotted leopard illusion here. Do you see any animals in it? You should be able to spot many animals among all of these spots, you just have to look closely at how the spots are arranged. The most obvious creature in the spots is the leopard, but it is not alone, there are at least two more creatures within the spots. If you all manage to find the hidden animals, be sure and let us know by leaving a lovely comment for us to read! Happy Sunday and hope your last day of the weekend is fun!